Get Unlimited Email Exported from Exchange EDB Mailbox into MBOX file format. Easily Recover Data from Corrupt Exchange Mailboxes With Advance Mode Scan. Preview the Content of Exchange Mailboxes Separately. Allows to Export both type of Exchange EDB files i.e. Priv.edb, Pub.edb. No External Application Requires to Convert EDB to MBOX. Support Mbox files of Multiple Email Client i.e. Eudora, Thunderbird, Entourage etc. The tool provides the easy and efficient medium for converting the exchange edb emails to the mbox file format with attachments. For each folder in exchange mailbox, Software creates separate mbox files such for INBOX folder it creates inbox.mbox etc. The software allows you to select desired folder and mailboxes while converting exchange edb emails to the mbox file format. For this, you have to only check the folder which you want to export edb to mbox. For each selected folders, the software creates separate mbox file. With the help of software, you can easily preview the content of Exchange edb mailboxes. After scanning Exchange Database, the software listed the complete mailboxes present in it. You have to select the mailbox to view its contained information such as Journal, Contact, Emails etc. 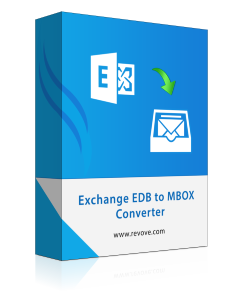 EDB Mailbox to MBOX Converter Software provides the functionality to export bulk exchange edb emails to mbox file format along with attachments. For this, you have to select the multiple mailboxes at once and then choose mbox from the navigation bar. This feature allows you to save your precious time and cost overhead. The software allows you to save the resultant mbox file at desired location so that you can easily manage and organize mbox file after the conversion. When the software complete the conversion process then it automatically generates complete process report in csv file format. For the purpose of deep analysis of exchange process. Does the software support Pub.edb file also? Yes,Definitely the software supports both Priv.edb and Pub.edb for the conversion to the mbox file format. Can I recover the Data from Corrupt Exchange Mailbox using the software? Yes, By using the Advance mode functionality of Software, you can easily recover corrupt exchange mailbox data in mbox format. Is there any requirement to install the mbox supported application? No, There is no such type of application need when you uses the software. The Tool itself capable of performing the smooth conversion of Exchange edb emails to the mbox file format. How many email platform supported by resultant mbox file? The software creates the Universal MBOX file which is easily compatible with all Email clients that support MBOX file in default. It is one of the best tools to convert edb file to mbox file format along with attachments, I have ever used in my career. I used this tool to migrate Exchange EDB to MBOX with 100% success rate. Before using this software, I have lost my valuable time as well as money in spammed software which is only good on papers. Thanks a lot to save my time and money as well. I want to access my exchange edb mailboxes in Thunderbird at my system. For this, I was looking for the solution from last Week but I didn't get any solution that capable of doing this for me. Luckily, I have got the link of Exchange to MBOX converter on Community. When I used the demo version of software, it impresses me lot to opt for the full version. A Big Thanks to you for this brilliant software.